How can a close-up magician entertain hundreds of people? 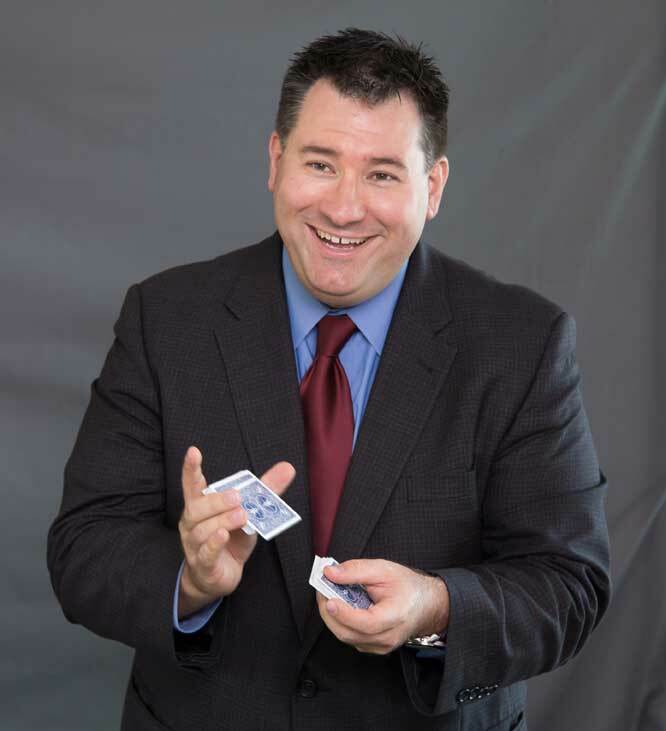 Performing at the Boca Raton Resort and Club and at trade shows nationwide, Mike learned to perform “wide” – drawing crowds of people into his magic and engaging the entire venue. Mike brings the same style to your corporate event, engaging crowds of laughing, cheering guests. Performing strolling magic at a cocktail party, you’ll see dozens of people surrounding him, so you can be sure everyone sees plenty of magic and has a great time. "Customers look forward to our events." Keeping your guests engaged and entertained is the big secret to successful hospitality suites and cocktail events. Mike builds crowd after crowd at your event, so your guests will see him perform several times throughout the night. Mike enjoys talking with your guests after the show, too. It’s not unusual to have 30 or more people still watching Mike entertain long after your event has ended! Sign up with your email address to receive The World’s Most Interesting Emails! We respect your privacy and do not give out our mailing lists. Please check your email now for a confirmation from Mail Chimp and follow their instructions to start receiving The World’s Most Interesting Emails!